can choose electric,steam or gas heated. the roller No. is from 1 to 5. ISO and CE aprroved. 1. High grade polished stainless steel roller with smooth surface for a better thermal conduction. 2. 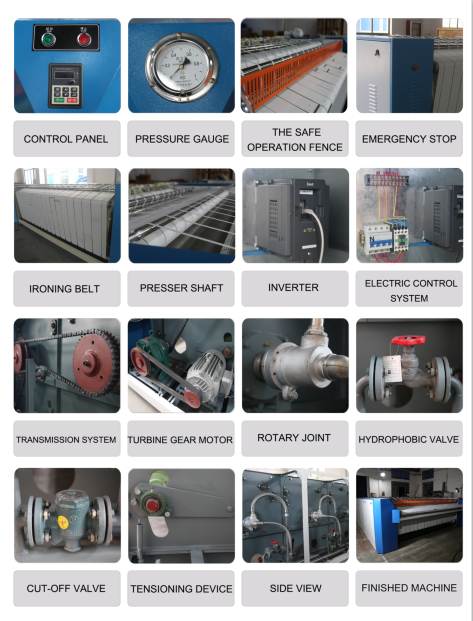 Micro processor control Wide range selection of preset ironing programmesExcellent electronic system providing the better temperature distribution and reduced energy consumption. 3. 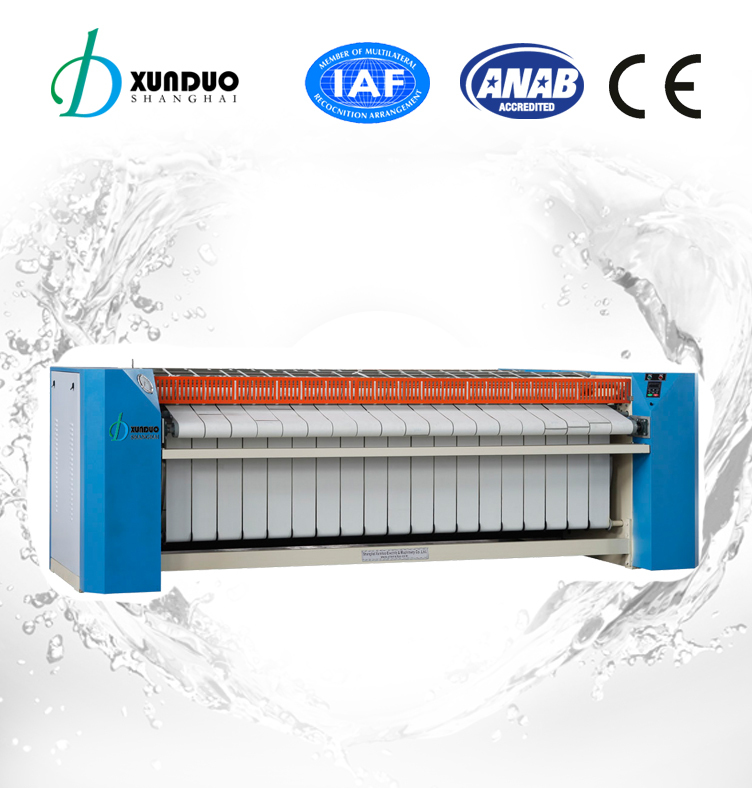 Frequency inverter providing variable ironing speed. 4. Large surface contract with linen over angle of 300°. 5. Heavy-duty drive with hardened sprocket and high temperature bearing. 6. Durable Nomex Ironing belts with strong stainless steel connection. 7. Automatic fast cool down. 8. Indication of Ironing speed and temperature. 9. Finger protection bar and emergency button more safety. 10. Enclosed electrical control box. 11.It's widely used in hospital, restaurant,school amd hotel laundry. 1. Excellent performance & quality finish. 2. Complete protection for more safety. 3. Easy to service at a low mantaince cost.